Tranquility at its best! 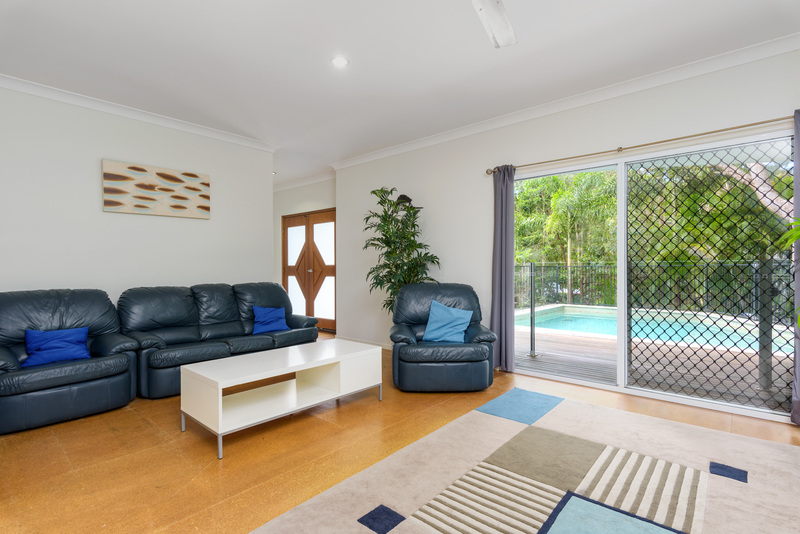 Allow yourself to relax and rejuvenate in this modern tropical paradise, set amongst the natural bushland of the Rainbow Shores Estate. Feel the sand between your toes as you take a leisurely stroll via a secluded, scenic bush track to the unspoiled coastline of Rainbow Beach. Be enticed by the sparkling inground salt water pool set in amongst the trees. For the entertainer at heart, this beautiful home features two large decks/entertaining areas, one at the rear of the property overlooking bushland and one at the front of the property overlooking the crystal clear glistening pool. Please supply your own personal and household items such as hair and body products, washing powder, toilet paper, dishwashing liquid etc. A $25 booking fee applies to all bookings.